Magento Website Development - Nina Torina Goes Live! Magento Website Development – Nina Torina goes Live! Nina Torina is run by Nina Victoria Gallagher a highly qualified Osteopath who already helps many clients with a range of treatments in her clinic Fixby Osteo which has been recently merged in to the New Nina Torina brand. Nina approached CODA to help her create a new brand for her clinic and a new large range of beauty & makeup, skincare and general health and wellbeing products as well as her own branded products to expand her business to e-commence and online sales. 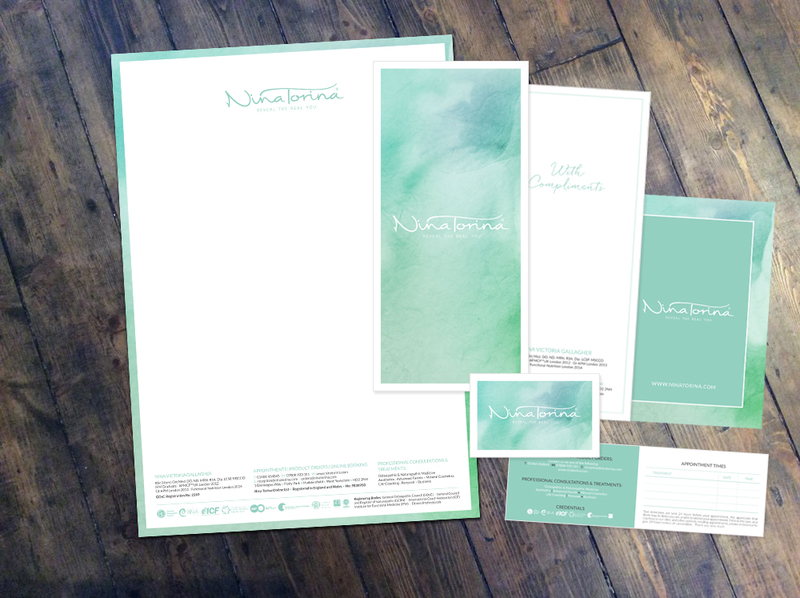 Nina was delighted with the brand we created which is a sophisticated mix of graphics, up to date layouts and use of subtle colours that helps to portray calmness and a feeling of wellbeing so vital for her service and products. Nina decided that Magento was her preferred platform for her website as it offered great future proofing and a fully compressive feature set to give her new e-commerce project the details and functionality her products and customers required. We created a fully bespoke Magento theme as part of the Magento website development with many hidden extras and clever additional functionality. 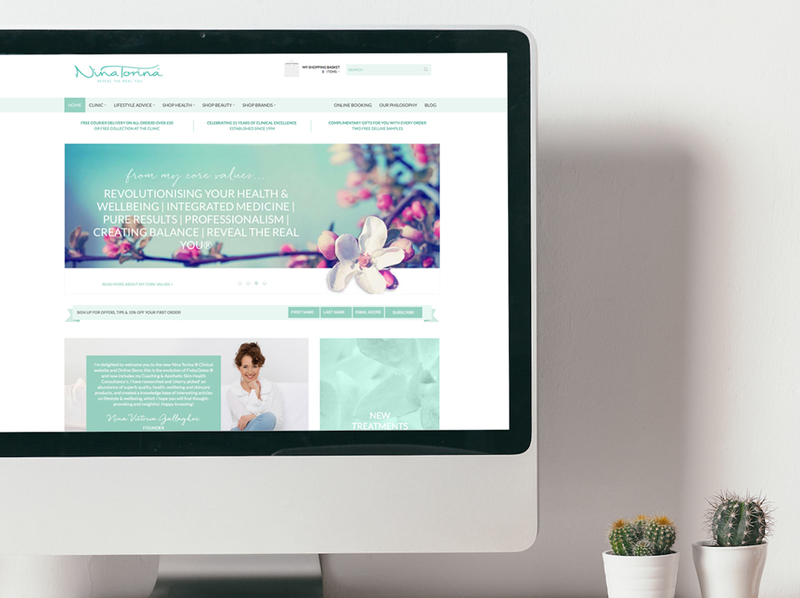 We also created HTML Email templates for newsletters and a sister site in WordPress for her own product range of skin care products – Nutribalm – to be launched soon too. Alongside the Magento website development CODA have also produced a range of new corporate stationery, brochures and leaflets, promotional marketing and we also helped to Art Direct photography for the new brand. Some of the brands and products on offer have even been tested by our team and we can certainly vouch for their quality!! Keep an eye on our portfolio page for a full case study coming soon!